What’s better than a movie outside? Watching a movie on a rooftop with the love of your life and bottomless popcorn, duh!. 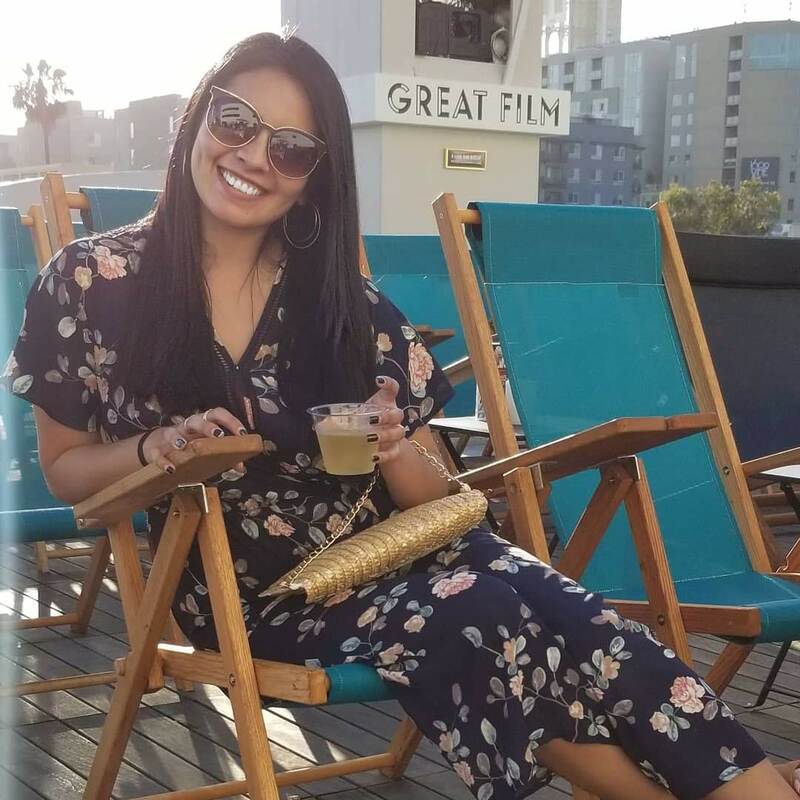 Rooftop Cinema Club is the perfect spot to enjoy a movie night with friends or a perfect date night. They have two rooftop locations, one in West Hollywood and the other in DTLA. Josh and I checked out the one in West Hollywood and the ambience was amazing. Rooftop has a beverage and snack bar. So you can have drinks and dinner while enjoying the movie. I love that they had cozy lounge chairs and blankets to keep warm. They even have love seat lounge chairs for when you wanna snuggle with your boo for extra warmth. We watched a classic, Indiana Jones and the Temple of Doom. I’m obsessed with rooftops and so ready for another outdoor movie night this summer.